Yuan Kun Lee, PHD, is an Associate Professor in the Department of Microbiology at the National University of Singapore, where he researches fermentation and microbe-host interactions and probiotics. Dr. Lee has written ninety journal papers, sixty conference proceedings, twenty-eight book chapters, and three books. He is also the holder of three patents. Seppo Salminen, PHD, is a Professor in the Department of Biochemistry and Food Chemistry at the University of Turku in Finland. He is also a Visiting Professor of Food Toxicology at RMIT University in Australia. Prior to his academic career, Dr. Salminen worked as a nutrition specialist, project manager, and toxicologist for private industry and government agencies. Dr. Salminen has written more than 240 refereed publications, several book chapters, and five books. 1.2 Screening, identification and characterization of Lactobacillus and Bifidobacillus strains. 1.3 Detection and enumeration of gastrointestinal microorganisms. 1.4 Enteric microbial community profiling in gastrointestinal tract by Terminal-Restriction Fragment Length Polymorphism (T-RFLP). 1.5 Effective dosage for probiotic effects. 1.6 Incorporating probiotics into foods. 1.7 Safety of probiotic microorganisms. 1.8 Legal status and regulatory issues. Chapter 2: Selection and maintenance of probiotic microorganisms. 2.1 Isolation of probiotic microorganisms. 2.2 Selection of probiotic mircroorganisms. 2.3 Maintenance of Probiotic Microorganisms. Chapter 3: Genetic modification of probiotic microorganisms. 3.1 Mutants obtained from probiotic microorganisms by random mutagenesis. 3.3 Vectors for Lactobacilli and Bifidobacteria. Chapter 4: Role of probiotics in health and diseases. 4.1 Cell line models in research. 4.2 Laboratory animal models in research. 4.3 Effects on human health and diseases. 4.4 Effects on farm animals. 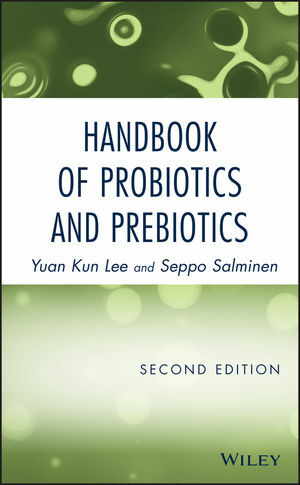 Chapter 5: Mechanisms of probiotics. 5.1 Adhesion to intestinal mucus & epithelium by probiotics. 5.2 Combined probiotics and pathogen adhesion and aggregation. 5.3 Production of antimicrobial substances. 5.4 Immune effects of probiotic bacteria. 5.5 Alteration of microecology in human intestine. Chapter 6: Commercially available human probiotic microorganisms. 6.5 Lactobacillus gasseri OLL2716 (LG21). 6.6 Lactobacillus paracasei ssp paracasei, F19®. 6.7 Lactobacillus paracasei ssp paracasei, L. CASEI 431®. 6.8 Lactobacillus rhamnosus GG, LGG®. 6.9 Lactobacillus rhamnosus, GR-1® and Lactobacillus reuteri , RC- 14®. 6.10 Lactobacillus rhamnosus HN001 and. 6.11 LGG®MAX, a multispecies probiotic combination. 6.12 Bifidobacterium animalis ssp. lactis, BB-12®. 6.13 Bifidobacterium breve strain Yakult. 6.15 Bifidobacterium longum strains BL46 and BL2C - Probiotics for adults and ageing consumers. 7.2 A brief history of prebiotics. 7.3 Advantages and disadvantages of the prebiotic strategy. 7.7 Modulating the intestinal microbiota in infants. 7.8 Modulating the intestinal microbiota in adults. 7.9 Modifying the intestinal microbiota in the elderly. 7.10 Health effects and applications of prebiotics. 7.11 Functional foods for animals.